Early on 27th May, we began to gather on the City Hall steps. By 7.0 a.m., most of us were there, remembering in vain those necessaries we had forgotten to bring - obviously the result of long practice in lessons. At half past seven we were reading with interest the pamphlet we had been given. It showed details of the route to Whipsnade, descriptions of some of the most interesting animals there, information about the towns we would pass - and a "time of departure" given as 7.15 to 7.30 a.m. At 7.40 the first bus peeped carefully round the corner. Half an hour later the battle for back seats, window seats, front seats and corner seats was over, wounds were being dressed, peace-offerings were being made, and we were off. On the way our teachers fought valiantly - "This is reddish-coloured soil because . . ." "This rock is hard because . . ." "So-and-so was born here . 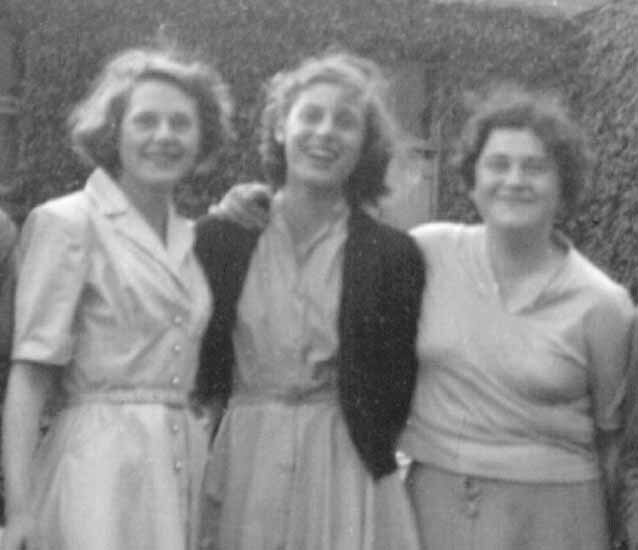 . ."
We were much more interested in the curtains of the house on the corner, in the number of television aerials we had seen, and in the car numbers we were collecting! After a stop at Loughborough, and a short wait to see if the rain would stop (it didn't!) We arrived at Whipsnade, raincoated, umbrellaed and wellingtoned. And it proved to be well worth the discomfort. Some of us, it is true, preferred the rain to the shivery feeling of the reptile house. But the elephants, wallabies, parrots, ostriches, zebras, antelopes, bears, lions, tigers, monkeys, yaks, camels and deer we saw, photographed, fed and smelled them all. At four o'clock we sank with relief on to our chairs and ate our cold meat (surely an odd dish in a zoo) and salad as if we had just finished a fourteen days' safari through the impenetrable jungle. The last hour saw us in the shopping centre, stocking up for the return journey. The last sentences on our leaflet said "We leave Whipsnade at 5.30 p.m. Are you coming with us?" At 5.45 the last first-former arrived - "I've been feeding the ducks". With memories of Stanley Holloway's Albert running through our heads, we had imagined that perhaps he had been feeding the lions. So we set off on the long journey home. By 10.30 we were back in Barker's Pool, wet, tired, contended and grateful to all who had made our day so happy. One thing only has marred this excursion. 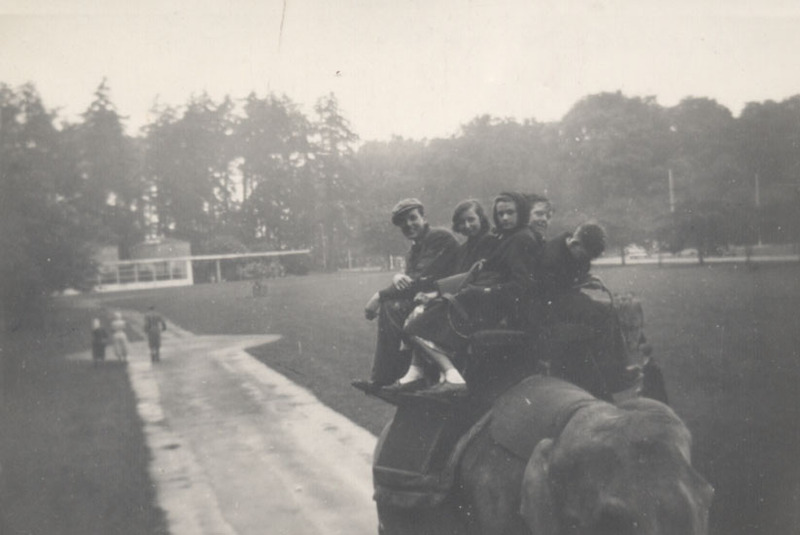 Rumour has it that a certain member of staff was photographed perched elegantly on an elephant - but we have no proof. Come on, Mr McPherson, bring out the album. Photograph taken in Stamford on the homeward journey from Whipsnade Zoo.